We manufacture a wide assortment of aluminum can trimming machine that finds extensive application in diverse industries. 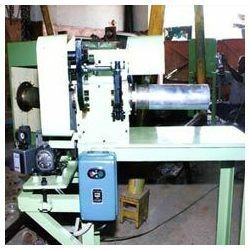 These aluminum can trimming machine are manufactured using top-grade material procured from certified vendors. Available in various specifications, our entire spectrum can be customized as per the specifications detailed by the clients. Our range of aluminum can trimming machines is extensively used for trimming uneven surfaces of the cans after extrusion and maintains the required length. The entire assortment is offered in different specifications as per the specifications detailed by the clients. Looking for “Aluminium Can Trimming Machines”?